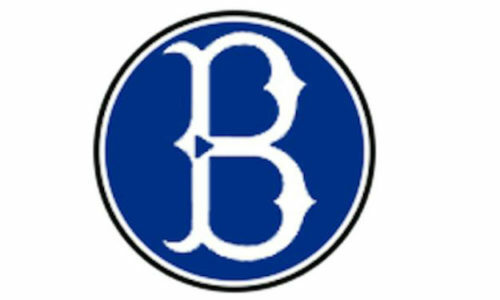 The Bryant 7-year-old tournament team outscored the opposition 76-11 in a five-game sweep[more] of a Bryant Premier Series tournament at Bishop Park over the weekend. The team is now 20-0 against other teams of 7-year-olds this season. The tournament opened on Saturday, April 13, with Bryant defeating the Southern Crushers of Cabot, 16-0. The team followed up later in the day with a 12-4 win over the LC Bulldogs of Maumelle. On Sunday, Bryant bounced the Crushers 17-1 then won the tournament with 17-3 and 14-3 wins over the Bulldogs. The team, which is coached by Kevin Nagle, includes Brady Brower, Reid Catton, Clay Crawford, Gage Horn, Aiden Hughes, Dylan Hunt, Grant Johnson, Carson Kemp, Julius McClellan, C.J. Nagle, Aden Palmer and Caden Stovall. In Sunday’s finale, Bryant racked up 21 hits including three each from Horn and Johnson and two each by McClellan, Catton, Kemp, Brower and Hughes. Kemp drove in four runs, Johnson, Nagle and Brower knocked in two each. Bryant jumped to a 2-0 lead in the bottom of the first. Singles by Horn and Johnson set the table. Horn then scored when Nagle grounded into a force at second. Hits by Hunt, McClellan and Catton chased Nagle around to score. A seven-run second blew the game open. Stovall led off with an infield hit then Crawford cracked a double and Kemp blasted a home run to make it 5-0. Brower kept the carousel going with a single. Hughes doubled him in then Horn beat out an infield hit. Johnson singled to right to drive in Hughes and Nagle doubled in Horn. After Hunt grounded into a force at second, McClellan’s base hit drove in Johnson. An errant throw allowed Hunt to come in as well. Bryant made it 14-0 in the bottom of the third. Catton and Palmer singled to open the inning. With two down Kemp singled in a run and took second on a throw home. Brower drove in two with a double then, after a single by Hughes, Horn got the final runs in with a double. The Maumelle team managed three runs in the top of the fourth but it wasn’t enough to extend the game. Horn, Johnson and McClellan spanked three hits to lead Bryant’s 23-hit attack. Nagle, Catton, Crawford, Brower and Hughes added two each. The Bulldogs struck first in this one, scoring a run on four hits in the top of the opening frame. Bryant countered with a five-run uprising in the bottom of the inning. Hits by Horn, Johnson and Nagle loaded the sacks and, with one out, Horn scored. McClellan singled in a pair of runs and, after Catton doubled, McClellan scored on Palmer’s grounder to the pitcher. Stovall then singled in Catton to make it 5-1. The Maumelle team trimmed two runs off the advantage in the top of the second. But Bryant blew open the 5-3 game with seven runs in the home second. Brower beat out an infield hit then raced home on a triple to right by Hughes. Horn singled him in to make it 7-3. Johnson’s hit was followed up by a two-run triple by Hunt, who came in moments later on a double by McClellan. Infield hits by Catton and Palmer loaded the bases and, after McClellan was forced at home on Stovall’s bouncer to second, Crawford and Kemp each rapped RBI singles to make it 12-3. The game ended when Bryant put it out of reach in the bottom of the third. Brower led off with a inside-the-park homer. Hughes followed with a double to left and, after an infield hit by Horn, Johnson doubled in both of them. Nagle’s single as Horn held at second. After Hunt’s grounder to third resulted in a force, McClellan’s drive to right resulted in a game-ending two-run triple. Bryant scored the maximum of seven runs in both the second and third innings to clinch this win. Horn, Nagle and Hunt had three hits each with Kemp, Crawford, Stovall and Johnson adding two each. Kemp drove in four and Hunt three. Bryant’s lead was just 3-1 after one inning. To open the game, Horn singled and Nagle doubled him home. Hunt ripped a triple to left then scored on a two-bagger by McClellan. The Crushers cracked back-to-back doubles to open the bottom of the inning but couldn’t scratch out another tally. Bryant’s first max inning began with a double by Stovall. Crawford singled him in then base hits by Kemp and Brower loaded the bases for Hughes who picked up an RBI on a grounder to first, making it 5-1. Horn’s double knocked in two and Johnson singled him in. Nagle singled and when Hunt beat out an infield hit Johnson hustled home. Catton’s RBI single capped off the outburst bringing in Nagle. Palmer ignited the third-inning blitz with an infield hit. Stovall drove a single to center and Crawford’s infield hit loaded the bags. Kemp followed with an inside-the-park grand slam to make it 14-1. With two down, Horn tripled and scored on Johnson’s hit. Nagle doubled and Hunt finished it off with a base hit. There was only one half inning — the top of the fourth — in which runs were not scored but, while the Bulldogs were getting one or two, the Bryant team was putting up fours and threes. Johnson, Nagle, Hunt, Palmer and Stovall each had three hits. Palmer drove in three. The Bulldogs scored twice in the top of the first but Bryant doubled that in the home half. Hits by Horn, Johnson and Nagle loaded the bases for Hunt who doubled in two. Kemp’s infield hit then an error allowed Hunt to score. Palmer’s single made it 4-2. LC put together a double and a triple to trim a run off the margin in the top of the second but Bryant re-extended the lead in the bottom half. McClellan’s single got things going but he was out after two wide a turn at second on Brower’s infield hit. But base hits from Hughes and Horn loaded the bags for Johnson who drove in a run with an infield hit. Hughes tried to score as well but was thrown out. Hunt came through with a two-run single to make it 7-3. The Bulldogs cut a run off the advantage again in the top of the third only to be trumped in the bottom when Catton tripled, Palmer doubled, Stovall, Crawford, McClellan and Brower singled. In the fifth, the Bulldogs were unable to score in the top of the fourth, Bryant finished off the win with three in the bottom of the fourth, loading the bases on hits by Johnson, Nagle and Hunt before a two-out hit by Palmer plated a pair and Stovall’s base hit completed the rout. The Crushers only managed one hit in the three-inning contest that Bryant took control of with five in the first and seven in the second. Horn led the way with three hits and three RBIs. Stovall drove in three with a pair of hits. Horn opened the bottom of the first with a triple. He held as Johnson reached on an infield hit but Nagle singled him home. Hunt’s hit loaded the bases and, with two down, Palmer came through with a two-run double. Stovall singled in Hunt and, after Crawford’s hit, McClellan knocked in Palmer to make it 5-0. In the second, Hughes singled and Horn cracked his second triple. Johnson doubled him home to make it 7-0. Base hits by Nagle and Hunt brought Johnson around to score. Kemp’s infield hit allowed Hunt to score and, after Palmer’s infield hit loaded the bases, Stovall clubbed a two-run double to as Bryant reached the max of seven runs in the inning. The Crushers’ lone hit came with one out in the top of the third, a double to center. But the base-runner got no further as Bryant retired the next two batters. In the bottom of the third, Bryant put the game out of reach when Crawford singled and scored on McClellan’s triple then Brower, Hughes and Horn ripped RBI doubles.